After almost two decades of running the line in Major League Soccer, Bill Dittmar has called time on his illustrious career. 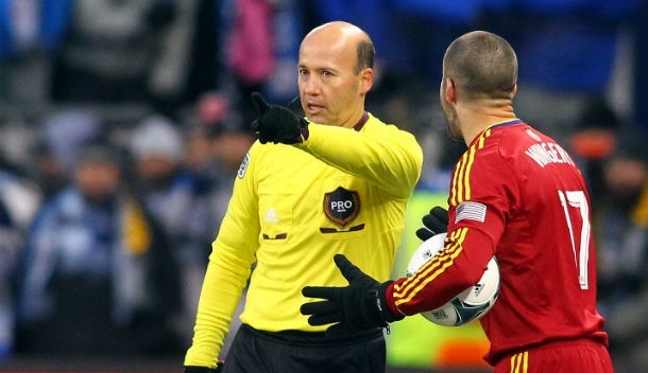 The 50-year-old has been an official in MLS since its inaugural season in 1996, taking to the field more than 250 times. Dittmar now begins a new chapter in his life, but remembers fondly his introduction to what has been an incredible personal journey. “It all started with an unexpected fax in September 1996 from Vinny Mauro at U.S. Soccer,” he said. “I was assigned to be the fourth official for Brian Hall in the Quarterfinal Playoff game between D.C. United and the New York MetroStars. As surprised as I was to receive this assignment, I was even more shocked a few days later when I got another fax informing me that I’d been assigned to the 1996 Semifinal Playoff game between D.C. United and Fort Lauderdale Strikers. It was quite an unexpected and bizarre beginning to my time in MLS. “I realized recently when doing some research for a leadership talk that I have lived through all 19 years of it first hand. My mind went back to so many of the early times when no one knew if the league would even make it. I thought of the many early national training camps where we were told if we did not do our jobs properly we could be one of the reasons soccer fails in this country. 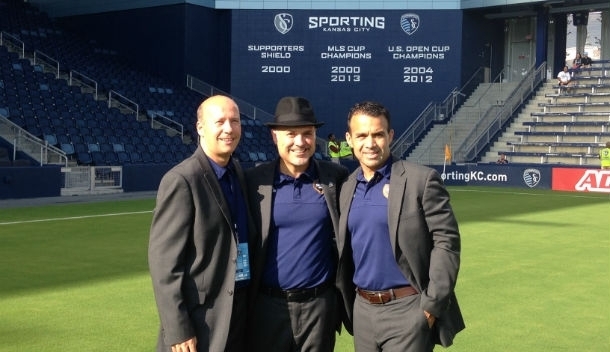 Dittmar’s high-profile assignments include the 2013 MLS Cup between Sporting Kansas City and Real Salt Lake, and Manchester United and Real Madrid’s game in Michigan that attracted more than 109,000 spectators. But it is the small, precious moments that he savors the most – experiences with the people in the game and within PRO that will stay with him as he retires the flag. “As well as the big assignments that I was lucky enough to receive, there are many other special memories that would seem rather insignificant to anyone who was not there at the time,” he added. “They include short conversations with total strangers I had met on a plane going to a match. Many of these experiences shaped the person I have become and they have priceless value. Not one to dwell on his accomplishments, Dittmar has already set sights on his next challenge. Alongside his commitments to his marketing and publishing company, he also hopes to continue in a new role with PRO and pass on the key officiating attributes to the next generation of ARs. “I hope to act as a coach and a mentor for the next crop of officials and I relish the opportunity to share what I have learned both on and off the field in the past 20 seasons. “I want to help all those in soccer officiating understand that it is the moments and friendships that matter most. Performance, commitment, hard work and humility are all a must to get to and remain at the professional level year in and year out, but the secret is to understand how to balance the sacrifices and to have a career that consists of many ‘ands’ instead of one ruled by the ‘or’.